Are you searching for ‘Car Garage Tunbridge Wells’? If so, perhaps consider Freeway Exhaust & Tyre Centre, based on St John’s Road in Tunbridge Wells. As a highly experienced car garage, we always have a solution when any customer comes to us with a problem. Established in 1973, we are an independent, family run business who aim to provide each and every customer with an excellent service. We understand that most customers need a quick fix to their car problems, which is why we offer a Fastfit service. We do our best to make sure that your car is safe to be driven on the road as soon as possible. If you are looking for an experienced garage then look no further. Call us on 01892 520022 to speak to one of the team today! It’s important that you get an experienced garage to look at your car. If your car is repaired by someone that doesn’t know their stuff properly, it could cause issues. We would highly recommend that you do your research before choosing someone to look at your car. The first thing you should look at is the garage’s website. Have a look at the types of services they have and what they can offer you. Some garages have pricing points on their website too, which will provide you with an indication of how much the job is going to cost you. This also gives you an idea about how they present themselves, positive or negative. Find out what customers think about the garage. Sites such as Google, Yell and other review platforms are used so that customers can leave a review. This can offer you a more detailed insight into the business and the type of service they offer to customers. In most cases, you won’t get all positive reviews, however, it’s important to look at the overall service they provide. Ask around to find out more information about the business. If your family or friends have used their services and had a good experience, it’s probably a good idea to check them out. You can also get recommendations from the internet, so it might be worth checking this out. If you know someone that has used their services then it would be a good idea to ask them about their experience with the company. When you get to their garage, what are your first impressions? Somewhere that is tidy and professional will be received much better than if it was messy and unprofessional. You can also speak to some of the staff there to understand more about the business and to get a quote for your repairs. 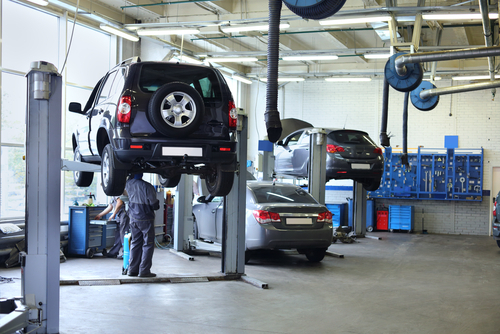 There are a variety of issues that could occur when it comes to your car or any other vehicle. At Freeway Exhaust & Tyre Centre, we ensure that your car is properly checked out, to ensure all potential issues are identified. We will then speak to you about what needs doing and give you any relevant advice, so you know exactly what action needs to be taken. Either we will get your car fixed at our centre, or our team will direct you in the right direction to get it fixed. We always do right by our customers and you will never be quoted for work that is unnecessary. We also offer car servicing and MOT options at Freeway. Whether your car needs its annual MOT or the air conditioning needs recharging, you can always count on us. We have specially trained staff to complete all MOTs and all services are conducted in line with DVSA guidelines. Our services are fast and flexible, so you’ll never be waiting long for your car. All services at Freeway are done at an affordable price for all. From MOTs to exhaust repair, we make sure our pricing reflects the work that is being done. We will never try to do work on your vehicle that isn’t needed. To find out more about pricing, give us a call on 01892 520022. We ensure that all of our technicians are highly qualified, to ensure that each and every car service is done to a high standard. We have technicians that specialise in MOTs, servicing, tyre replacement, exhaust repairs and much more. No matter what the issue is, we will do our best to find a resolution for you. Unlike many national companies, our car garage is full of friendly staff and technicians who are always here to help. We are a family run business and believe those family values should be represented in within our business. If you are ever concerned about your vehicle, please do not hesitate to get in touch and we will be happy to advise you. Where possible, our team will always do their best to ensure your car is back on the roads on the same day it was brought in. This is not always possible due to complexes or other issues that may arise with your vehicle, however, in many cases this is achieved and you’ll be able to drive your vehicle away on the same day. This is most common with tyre repair and replacement services. Make Freeway your go-to car garage when anything goes wrong. You can trust us to get your vehicle up and running as soon as possible. Get in touch today for more information!